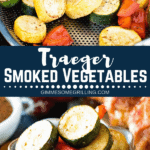 These quick and easy smoked vegetables are the perfect quick and easy side dish on your smoker! 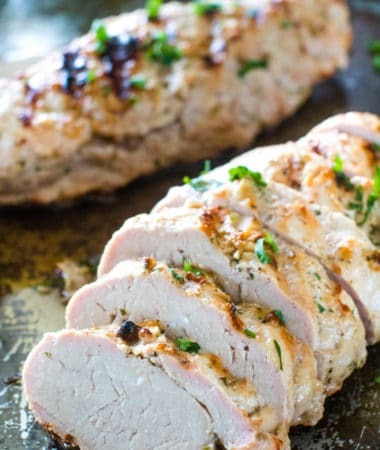 Tons of flavor from balsamic and seasonings, then perfectly smoked for a delicious flavor! 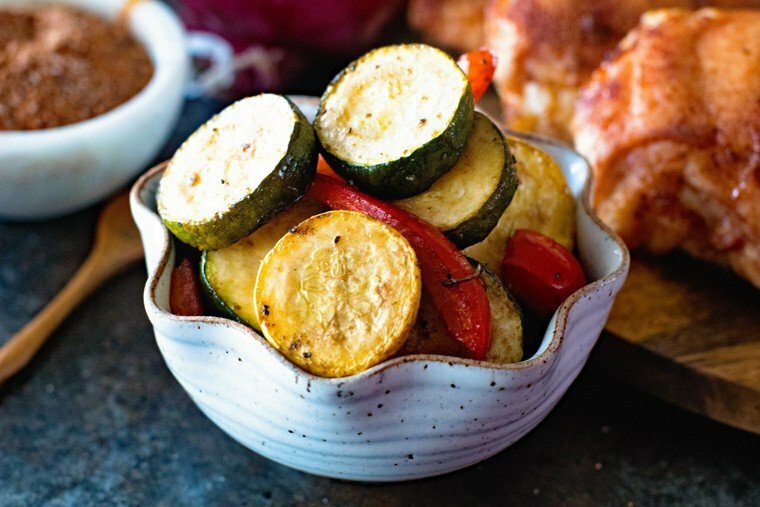 These Easy Smoked Vegetables are so quick and easy yet have a delicious balsamic on them, plus the flavor from the smoker makes them the best vegetables you’ll have! These are so easy to make and are one of my favorite side dishes to make when we smoke things like our Easy Smoked Pork Loin and BBQ Dry Rubbed Smoked Whole Chicken. 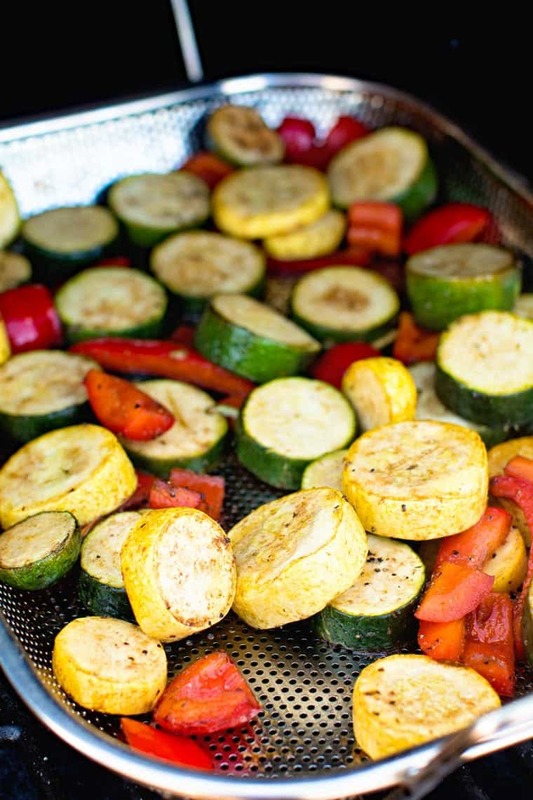 The possibilities are endless with these smoked vegetables. You can also add sweet potatoes or potatoes, just make sure you dice them small so they cook through quickly. I’ve also added brussels sprouts, yellow onion, asparagus or whatever vegetables I have in the refrigerator that need to get used up! 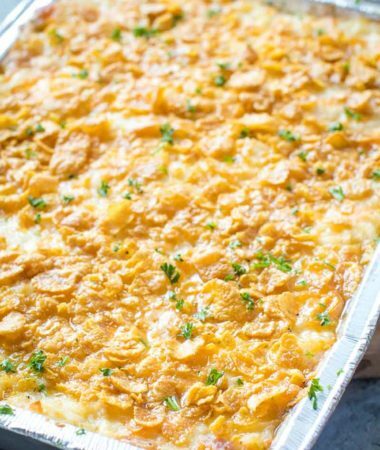 I think we easily have this side dish 2-3 times per week. I make them in the oven, on the grill or on the smoker. 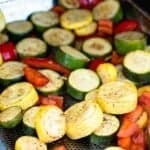 It’s so versatile and because I can mix it up with different vegetables I never get tired of it! 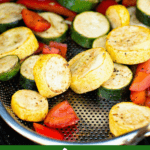 Plus, if you are just getting your feet wet with your pellet grill this is a great recipe to do that with or if you have a busy life like us, yet want to use the pellet grill this is great too. I love recipes that take a long time, but during the week that makes it hard. 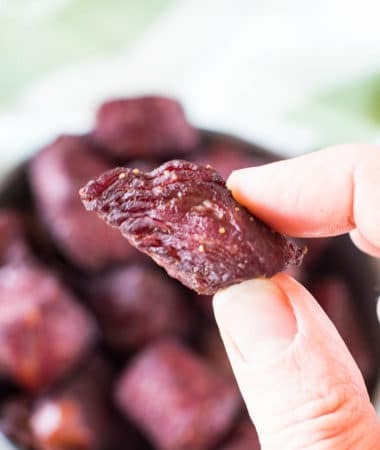 These easy smoked vegetables are perfect to throw on the pellet smoker after work when you want the smoked flavor but are short on time, which is like always right? It seems that so many smoker recipes are so time consuming that I’m on a mission to create some that we can enjoy during the week too! You know what is also awesome? I always smoke extra vegetables because I love them for meal prep for the coming week if we smoke these on a weekend. I mean you could totally smoke them during the week and use them as leftovers for lunches too! Like I said these are so EASY! Simply grab a mixing bowl and toss everything together. Preheat your pellet grill to 350 degrees. We used a competition blend for the wood chips, but anything would work. Experiment with the different flavors. Also, you can smoke these at a lower temp if that’s what your meat is smoking at, but it will take longer to cook through so adjust the cooking time of course! Throw them in a grill basket and then smoke them for 30-45 minutes or until they are cooked through and caramelized. Preheat pellet grill to 350 degrees. We used competition blend pellets in the pellet grill. 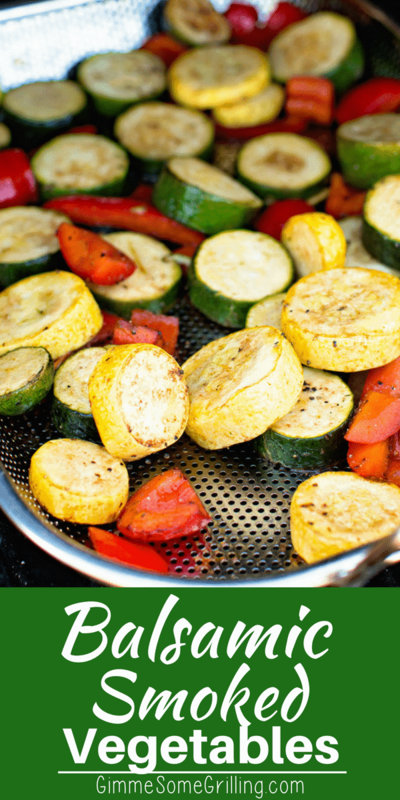 Close pellet grill lid and cook at 350 degrees for about 30-45 minutes or until vegetables are carmalized and cooked through. Hi! I'm Julie and I'm so happy you are here! We are focusing on easy, simple recipes that everyone can tackle on their smoker and grills that the entire family will enjoy! Our recipes are for the every day grill master! Hi! 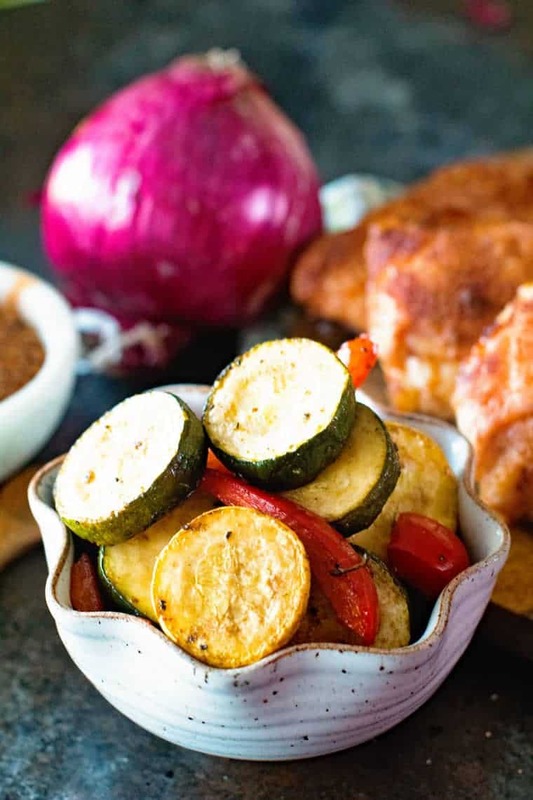 We are Jason & Julie we are focusing on easy, simple recipes that everyone can tackle on their smoker and grills that the entire family will enjoy! TO GET SMOKING HOT RECIPES DELIVERED TO YOUR INBOX! Copyright ©2019, Gimme Some Grilling. All Rights Reserved.